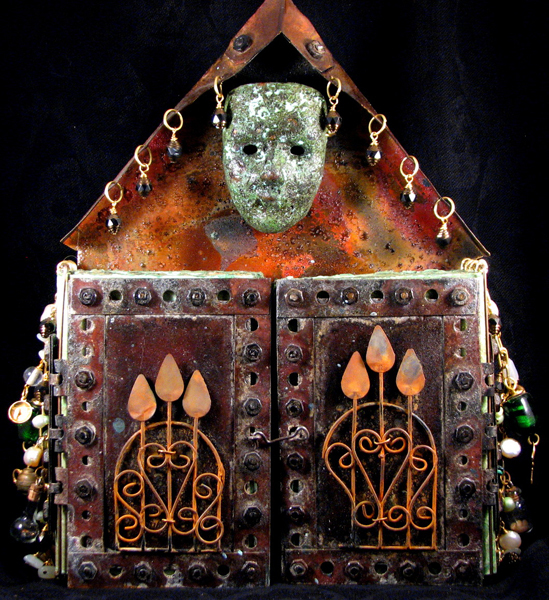 Two art journals under one roof; this inspiring construction will shelter all of your most precious secrets in a brass and copper house with stained glass and/or metal doors. In this course, students will build a house of copper and attach two 64-page, hand-made books made with my all-metal book binding technique. The doors of the house, which are the front covers of the two beautifully painted and textured pages, are made of swirled baroque glass with vintage images showing through or simplify your day a bit, and make doors of sheet metal and decorate with found objects. 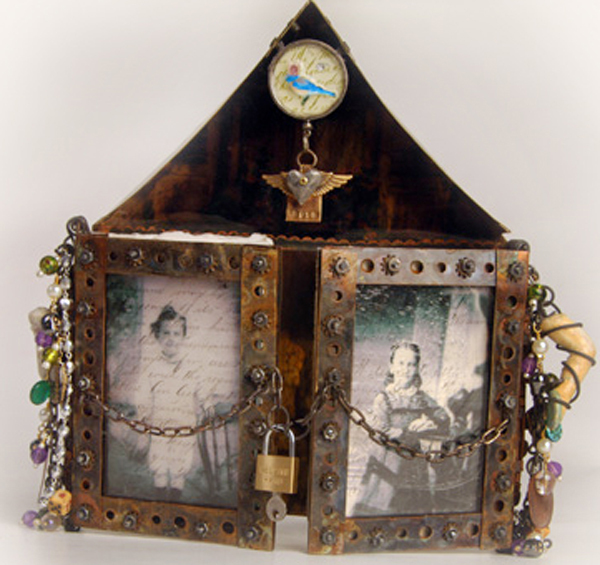 The books are both filled with art-ready, heavy watercolor paper and decorated with antiqued chain, charms & beads, and other favorite pieces of ephemera, as is the roof of the house. 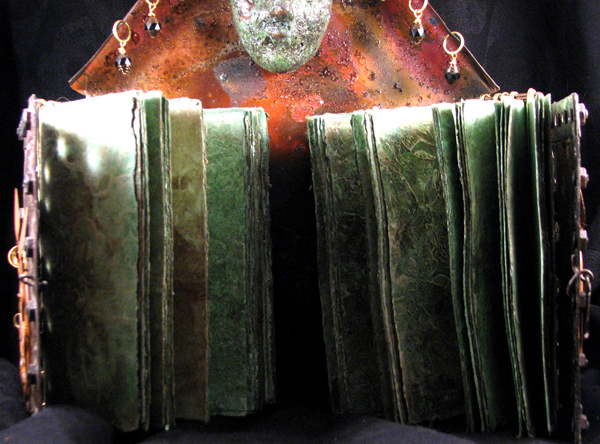 In addition to learning my original book binding method, this workshop will cover several techniques for mixed media and assemblage art, such as torching to color metal, antiquing metal with chemical patinas, cold connection applications, glass cutting, basic bookbinding terms, sheet metal fabrication, and more! a complete set of written instructions.